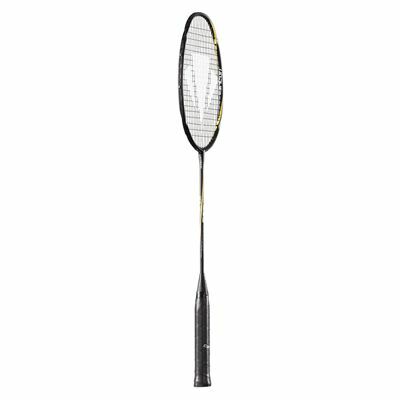 The Carlton Kinesis badminton racket is a brand new model that has rewritten the rule books with its revolutionary vortex shedding frame geometry. The Kinesis is ideal for advanced players seeking control by combining a lightweight, even balanced frame with a medium flex shaft. 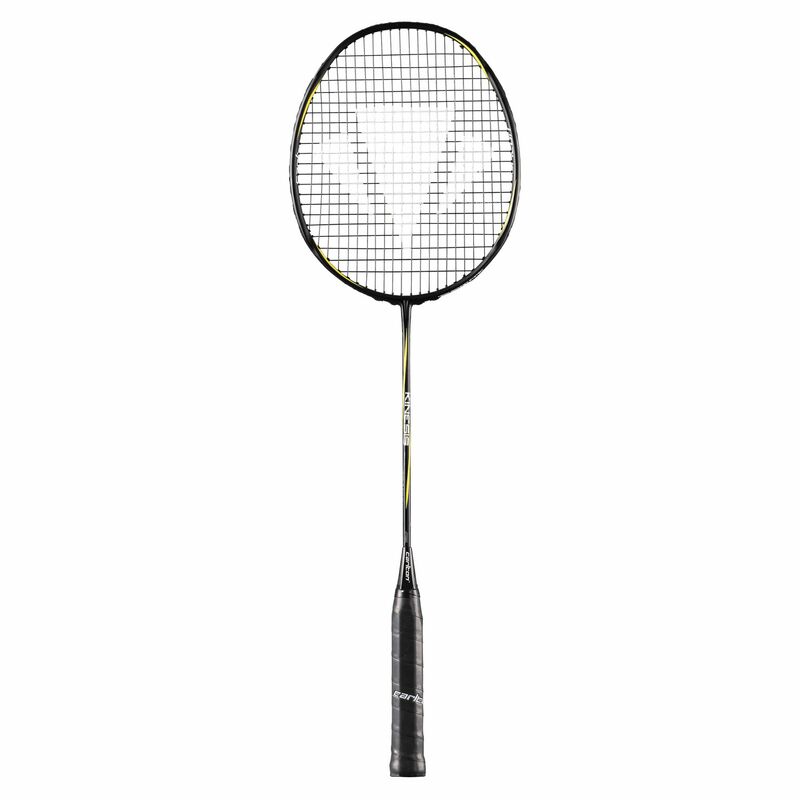 The racket has been engineered with a 90 degree twist at the 2, 5, 7 and 10 o clock positions to reduce aerodynamic drag resulting in improved head speed and manoeuvrability. In addition, the Micro Grommets keep the strings tightly in place to allow pin-point accuracy along with enhanced power. The racket comes supplied with a full cover. 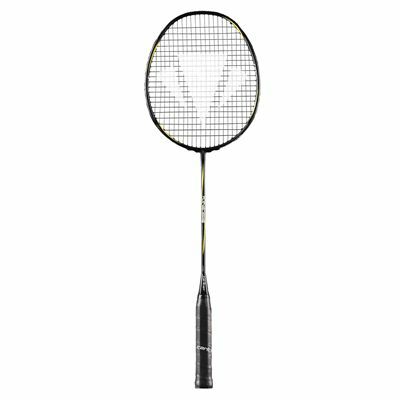 for submitting product review about Carlton Kinesis Badminton Racket.